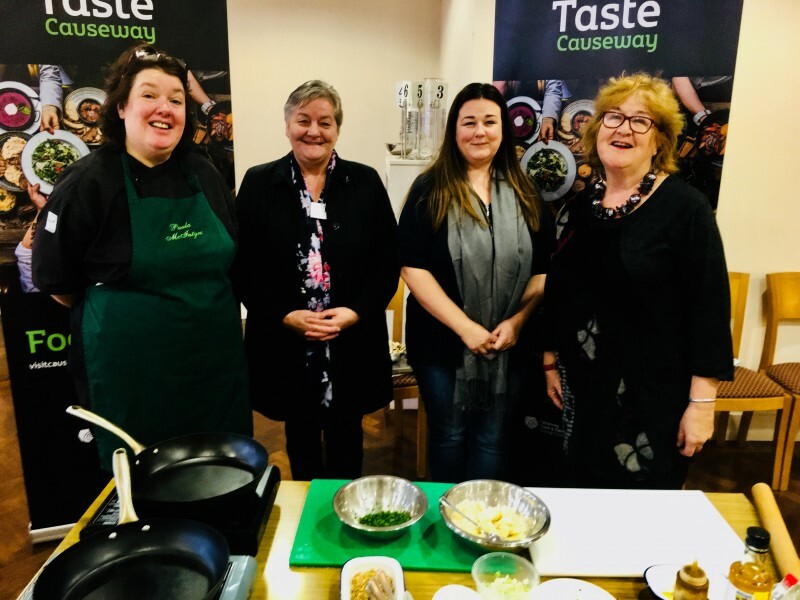 Hotel chefs and Bed and Breakfast owners from across the Causeway Coast and Glens have enjoyed a ‘Brilliant Breakfast’ workshop with Paula McIntyre MBE. 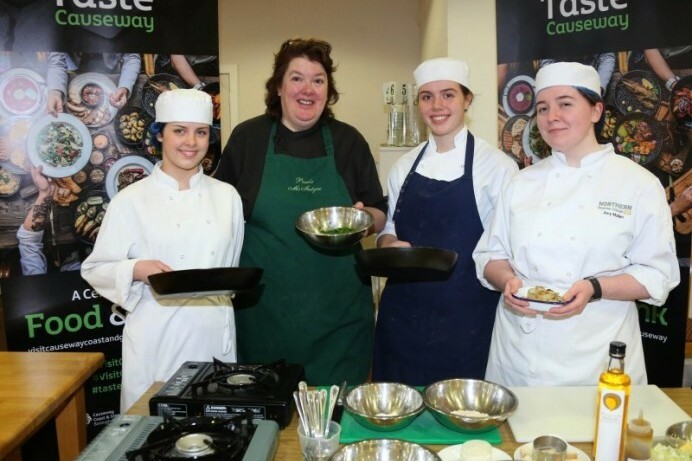 The local food ambassador led a cookery demonstration at the Northern Regional College in Ballymoney which showcased a range of ways to incorporate local produce in to breakfast menus. 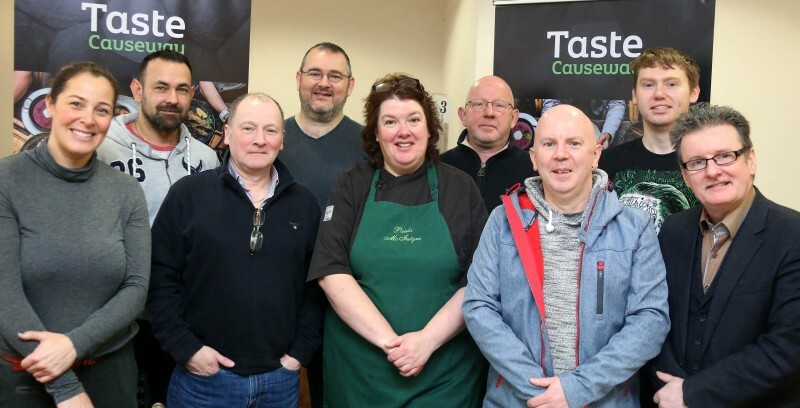 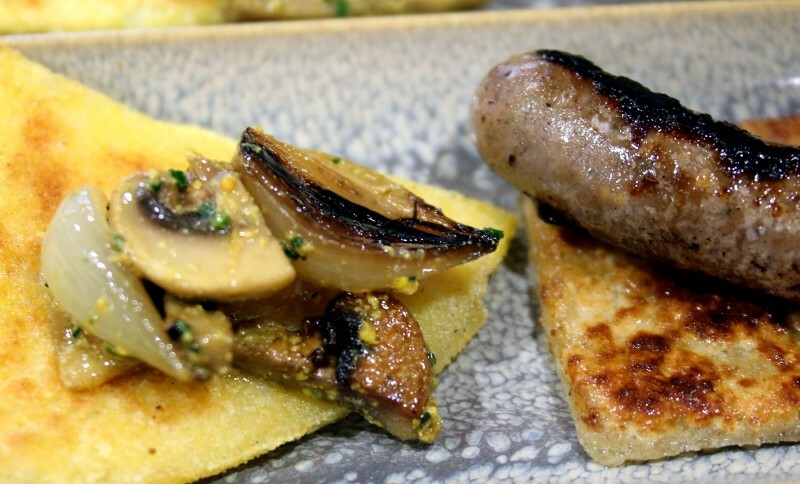 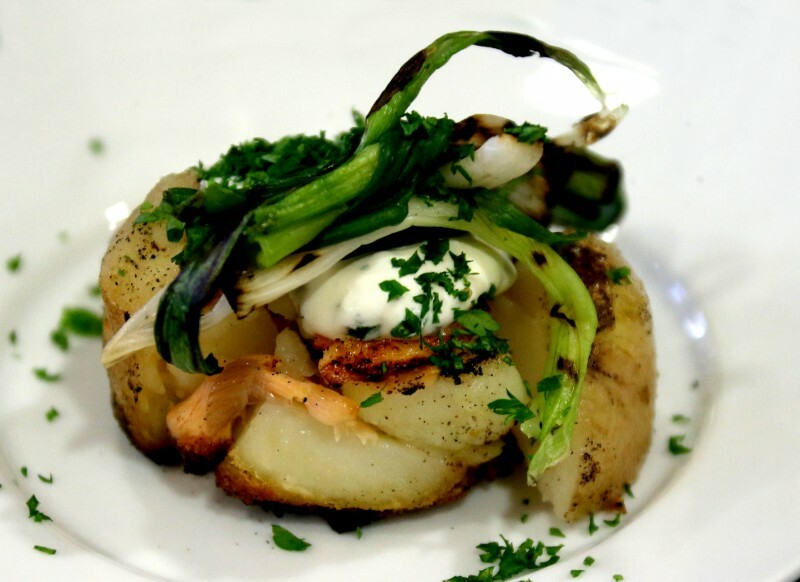 Ballyrashane butter and milk, Ballyeamon eggs, Corndale chorizo, Etherson’s sausages, Lacada and North Coast Smokehouse products were among the list of items used to create a memorable dining experience. 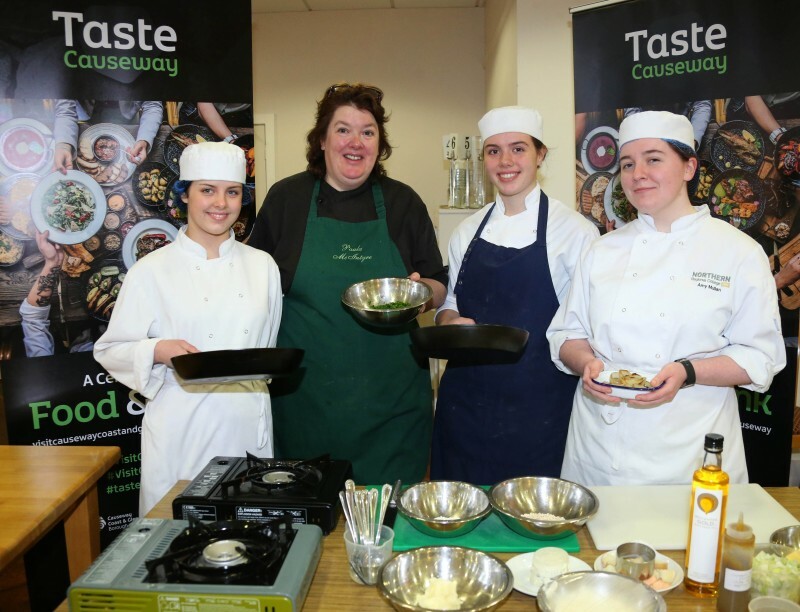 The ‘Brilliant Breakfast’ event took place at the end of Taste Causeway, Causeway Coast and Glens Borough Council’s new food celebration. 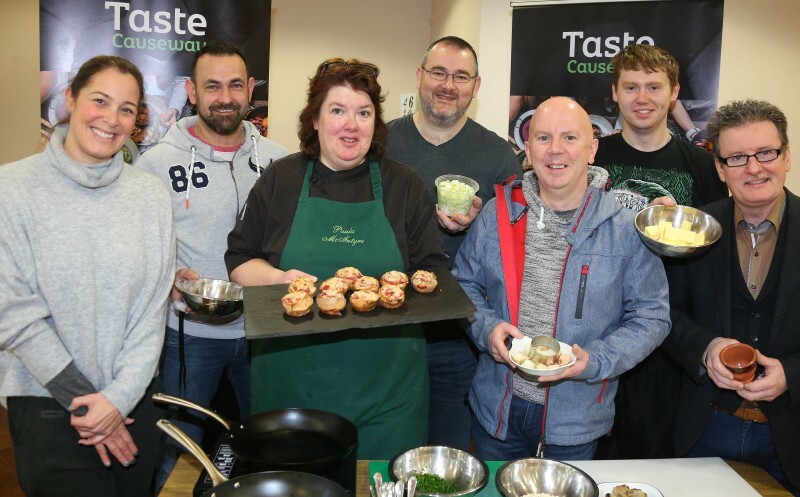 Over the course of nine days it explored the delights of our unique speciality food and drink produce through a series of dynamic and exciting foodie experiences hosted by some of our finest restaurants, food producers and tours. 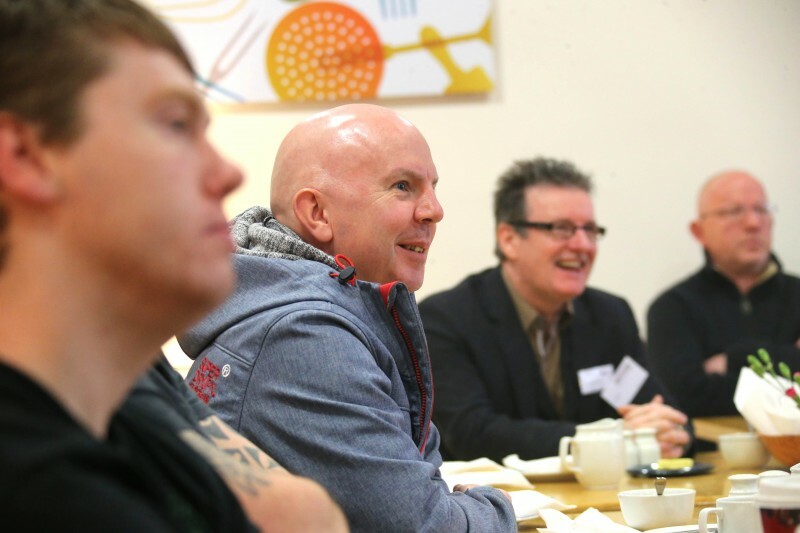 To keep up to date with the latest news from Council’s Tourism Team follow @CCAGTourismTeam on Twitter.